The swissporarena is a magnet for football fans and a multifunctional venue. In 2011 the new home of the FC Luzern was opened and since then it impresses with its original architecture and highly modern interior as a gigantic venue for sporting spectacles and cultural or social events. This extraordinary venue offers besides from the pitch and the stands more than ten different rooms that offer much space and a pleasant ambience for your private or business occasions. From family celebrations with 10 guests to a festival with up to 20,000 people: everything is possible here! 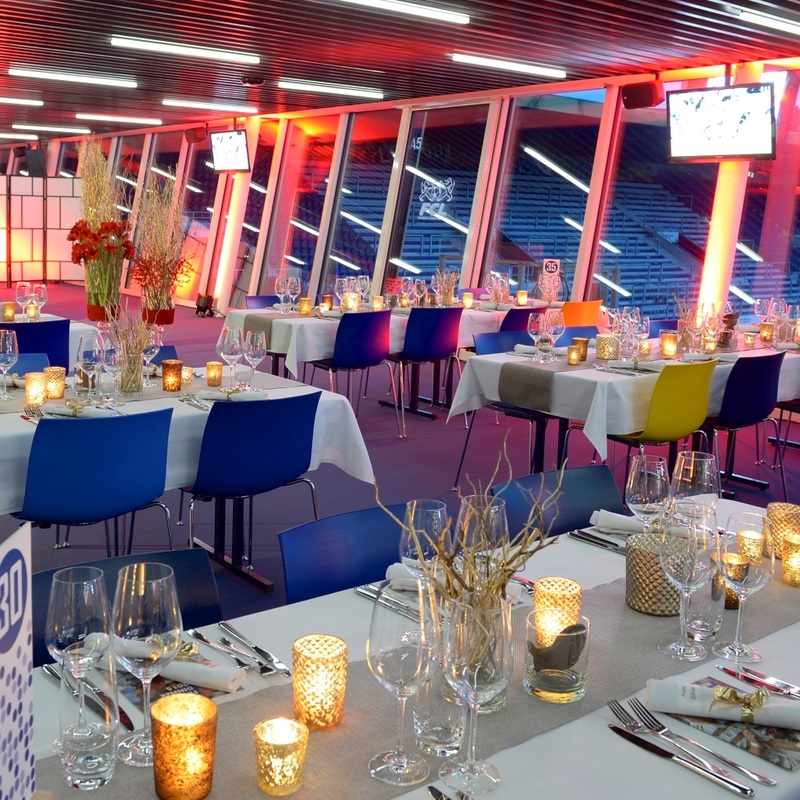 In the swissporarena you find rooms for every occasion: from the atmospheric Christmas party of your company to a romantic wedding celebration. 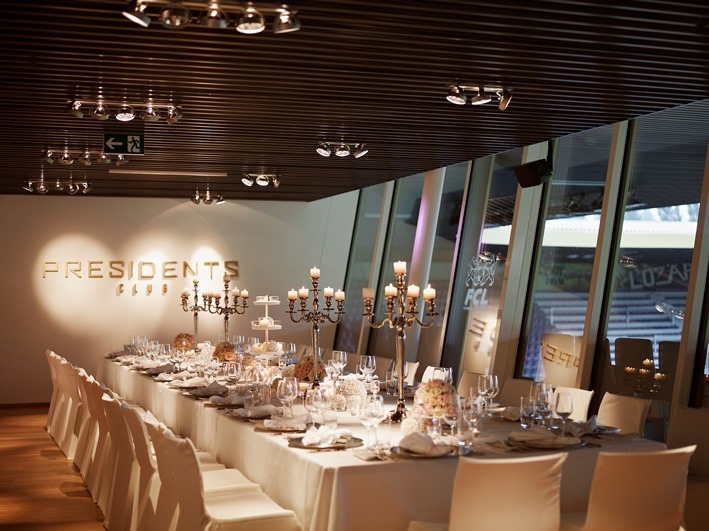 Impress your family members, friends or clients with an exclusive event in the unique setting of the stadium. 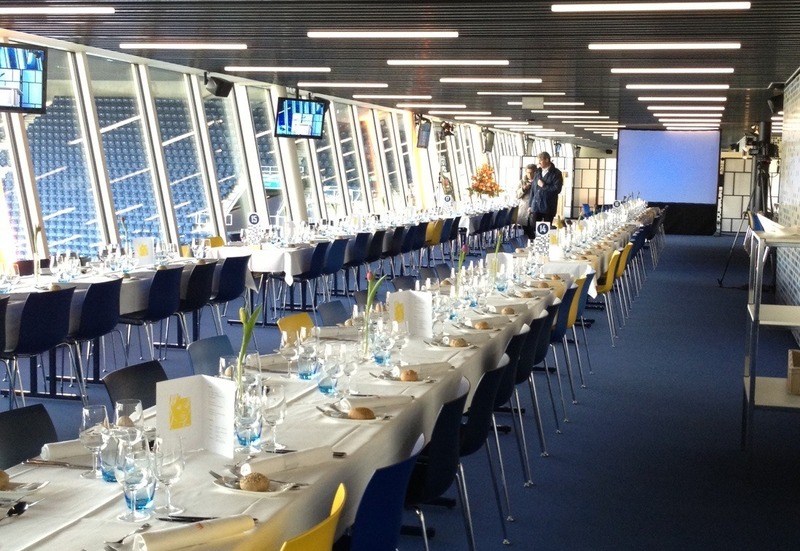 On three floors the swissporarena provides modern rooms with a fantastic view on the pitch. Choose between the different boxes, the representative Presidents Club, the lounges or the Media Centers to find the suitable frame for your individual event. The event managers gladly support you so that your special occasion can be implemented according to your wishes. 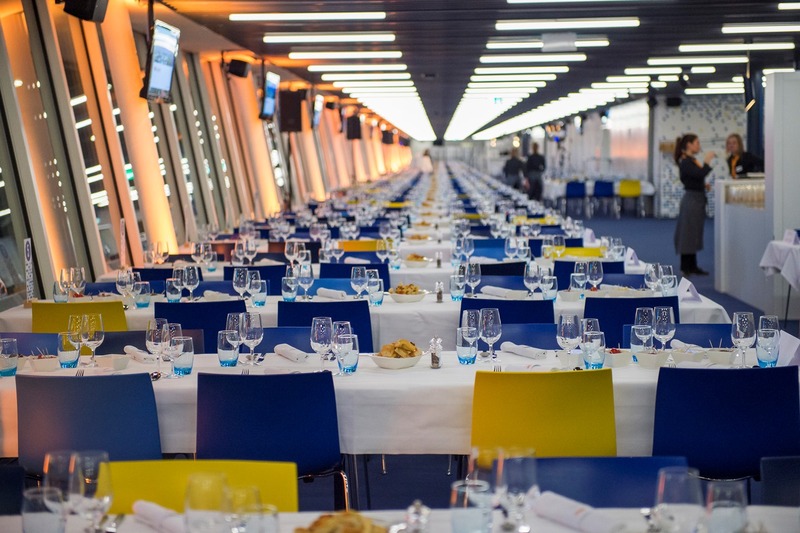 The swissporarena offers several conference flat rates and concepts for a variety of business events. How about a “Networking breakfast”? Impress your guests with spectacular entrance into the stadium with background music and your company logo on the screen! Afterwards you may enjoy a large breakfast in the business lounge. You want to host your general meeting in the stadium? No problem, we offer conventional rooms for up to 650 people or unconventional sites such as the stand for several thousands of people. Use the spectacular setting also for your exhibitions and trade fairs. The business lounge and the vestibule are ideally suited. Conferences, seminars or workshops are just as right in the light flooded rooms with their modern technology as festive company celebrations. We gladly inform you about our extensive range of rooms and make you a customized offer for your individual business event. You love football? How about a wedding ceremony on Lucerne´s hollowed turf? The swissporarena offers you a unique setting for your marriage, a wonderful backdrop for your photo shooting and elegant premises for your celebration. Use the exclusive VIP-rooms for your romantic reception. 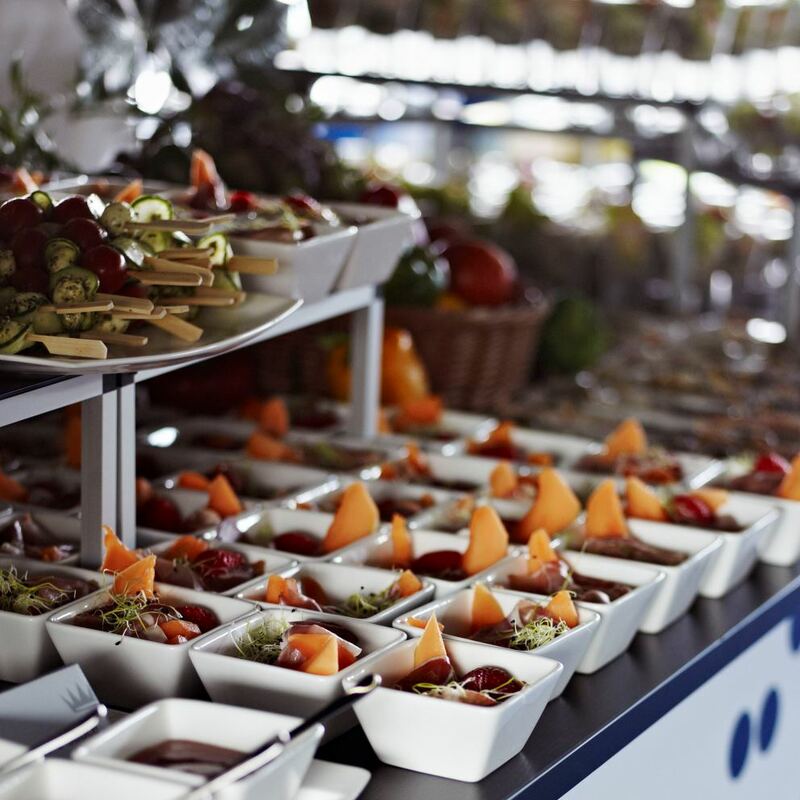 The event team would be pleased to present to you the premises and all possibilities for your unforgettable celebration at the swissporarena.